This dragonfly was flying around at my pond while I was fishing. It kept flying at me head-on. So, I figured it was trying to get my attention, and I, of course, photographed it. 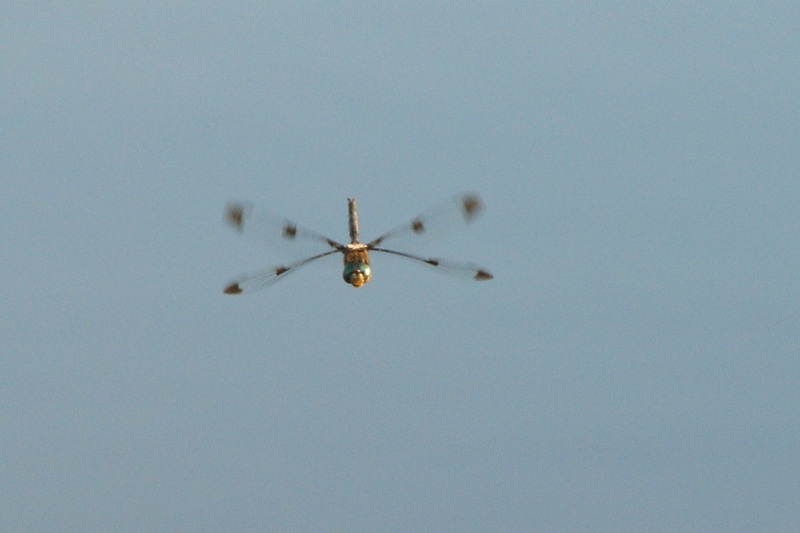 It's a true challenge to try to photograph dragonflies in air! I put my camera on sport mode and did the best I could. Great capture for the X day! How fun! Hope your week is going well! Enjoy! great catch - dragonflies and fireflies are so special, I think. Ohmigosh! A terrific capture! Xcellent! I think you get the gold star today. that's a fabulous capture. Quite amazing in fact. What an amazing shot, you did well. A wonderful photo for X and clever too. Barb, Part of the ABC team. Misty: Cute face on shot, great timing.